c. issuer with assets of at least P50,000,000.00 or such other amount as the Commission shall prescribe and having 200 or more holders each holding at least 100 shares of a class of its equity securities as of the first day of the issuer’s fiscal year. a. Under SEC Resolution No. 22, Series of 2003, the Commission discourages the submission of audited financial statements for companies covered by this Rule accompanied by an auditor’s opinion which is other than unqualified. It is understood that the Commission retains the right to obtain clarification about the reason(s) for such opinion. b. Audited financial statements for periods beginning January 1, 2003 and thereafter, for companies covered by this Rule with auditors’ opinion other than unqualified as a result of departure(s) from generally accepted accounting principles in the Philippines shall be deemed not filed and appropriate sanctions shall be imposed thereon. The management of (name of reporting company) is responsible for all information and representations contained in the financial statements for the year (s) ended (date). The financial statements have been prepared in conformity with generally accepted accounting principles in the Philippines and reflect amounts that are based on the best estimates and informed judgment of management with an appropriate consideration to materiality. In this regard, management maintains a system of accounting and reporting which provides for the necessary internal controls to ensure that transactions are properly authorized and recorded, assets are safeguarded against unauthorized use or disposition and liabilities are recognized. The management likewise discloses to the company’s audit committee and to its external auditor: (i) all significant deficiencies in the design or operation of internal controls that could adversely affect its ability to record, process, and report financial data; (ii) material weaknesses in the internal controls; and (iii) any fraud that involves management or other employees who exercise significant roles in internal controls. (name of auditing firm), the independent auditors appointed by the stockholders, has examined the financial statements of the company in accordance with generally accepted auditing standards in the Philippines and has expressed its opinion on the fairness of presentation upon completion of such examination, in its report to the Board of Directors and stockholders. The periodic presentation and coverage of financial statements accompanying the registration statements, annual reports and information or proxy statements shall be in accordance with the requirements of this section. A. If the registrant has been in existence for less than one fiscal year, there shall be filed an audited balance sheet as of a date within 135 days of the date of filing the registration statement. F. If a filing on Form 12 -1 is made more than three hundred fifteen (315) days after the end of the most recently ended fiscal year, the filing shall include audited consolidated balance sheets as of the end of each of the two most recently ended fiscal years and a separate interim balance sheet as of the end of the third fiscal quarter subsequent to the most recent fiscal year end. G. Any interim balance sheet provided in compliance with this subparagraph may be unaudited and need not be presented in greater detail than is required by paragraph (9) of this Rule. A. There shall be filed for the registrant and its subsidiaries consolidated and its predecessors, audited income statement in a comparative format for each of the three most recent completed fiscal years or such shorter period as the registrant (including predecessors) has been in existence. A. There shall be filed for the registrant and its subsidiaries consolidated and its predecessors, audited statements of changes in equity in comparative format for each of the three most recent completed fiscal years or such shorter period as the registrant (including predecessors) has been in existence. A. There shall be filed for the registrant and its subsidiaries consolidated and its predecessors, audited statements of cash flows in comparative format for each of the three most recent completed fiscal years or such shorter period as the registrant (including predecessors) has been in existence. At the time a registration statement on SEC Form 12-1 is to become effective, the financial information therein must be as of a date within 135 days from effective date. Interim financial statements required to be included in a registration statement, which are necessary to keep the registration statement current, need not be audited and need not be in greater detail than required by Paragraph 7 of this Rule. i. There shall be filed consolidated audited balance sheets (except if not applicable), in comparative format, as of the end of each of the two most recent completed fiscal years. ii. The Income Statement, Cash Flow Statement and Statement of Changes in Equity shall be in comparative format for the three most recent completed fiscal years or such shorter period as the company (including predecessors) has been in existence. If the meeting date is beyond one hundred thirty five (135) days from the company’s fiscal year end, separate interim statements for the most recent quarter with comparative figures for period ending of the same quarter of the preceding year shall likewise be filed. B. Consummation of a business combination to be accounted for as a pooling of interests is probable. ii. For purposes of determining whether the provisions of this rule apply, the determination of whether a “business” has been acquired should be made in accordance with the guidance set forth in paragraph (6) of this Rule. iii. If consummation of more than one transaction has occurred or is probable, the required financial statements may be presented on a combined basis, if appropriate. iv. This subparagraph shall not apply to a business which is totally owned by the registrant prior to consummation of the transaction. A. If none of the conditions exceeds ten percent (10%), financial statements are not required. However, if the aggregate impact of the individually insignificant businesses acquired since the date of the most recent audited balance sheet filed for the registrant exceeds twenty percent (20%), financial statements covering at least the substantial majority of the businesses acquired, combined if appropriate, shall be furnished. Such financial statements shall be for at least the most recent fiscal year and any interim periods. B. If any of the conditions exceeds ten percent (10%), but none exceed twenty percent (20%), financial statements shall be furnished for at least the most recent fiscal year and any interim periods. C. If any of the conditions exceeds twenty percent (20%) but none exceed forty percent (40%), financial statements shall be furnished for at least the two most recent fiscal years and interim periods. F. Notwithstanding the requirements in subparagraph (b)(i)(A) above, separate financial statements of the acquired business need not be presented once the operating results of the acquired business have been reflected in the audited consolidated financial statements of the registrant for a complete fiscal year unless such financial statements have not been previously filed or unless the acquired business is of such significance to the registrant that omission of such financial statements would materially impair an investor’s ability to understand the historical financial results of the registrant. For example, if, at the date of acquisition, the acquired business met at least one of the conditions in the definition of “significant subsidiary” in Paragraph 1(b)(x) of Rule 68 at the 60 percent (60%) level the income statements of the acquired business should normally continue to be furnished for such periods prior to the purchase as may be necessary when added to the time for which audited income statements after the purchase are filed to cover the equivalent of the period specified in Paragraph 5 of this Rule. G. A separate audited balance sheet of the acquired business is not required when the registrant’s most recent audited balance sheet required by Paragraph 5 of this Rule is for a date after the date the acquisition was consummated. i. 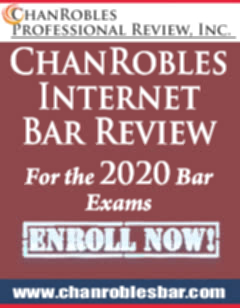 If any of the conditions set forth in the definition of “significant subsidiary” in Paragraph 1(b)(x) of Rule 68, substituting twenty percent (20%) for ten percent (10%) in the tests used therein to determine a significant subsidiary are met for a majority-owned subsidiary not consolidated by the registrant or by a subsidiary of the registrant, separate financial statements of such subsidiary shall be filed. Similarly, if any of the conditions set forth therein, substituting twenty percent (20%) for ten percent (10%), are met by a fifty percent (50%) or less owned person accounted for by the equity method either by the registrant or a subsidiary of the registrant, separate financial statements of such fifty percent (50%) or less owned person shall be filed. ii. Insofar as practicable, the separate financial statements required by this Part shall be as of the same dates and for the same periods as the audited consolidated financial statements required by Paragraph 5. However, these separate financial statements are required to be audited only for those fiscal years in which any of the conditions described in the definition of “significant subsidiary” in Paragraph 1(b)(x), substituting 20 percent (20%) for 10 percent (10%), are met. iii. Notwithstanding the requirements for separate financial statements under this paragraph, where financial statements of two or more majority-owned subsidiaries not consolidated are required, combined or consolidated statements of such subsidiaries may be filed subject to principles of inclusion and exclusion which clearly exhibit the financial position, cash flows and results of operations of the combined or consolidated group. Similarly, where financial statements of two or more 50 percent or less owned persons are required, combined or consolidated statements of such persons may be filed subject to the same principles of inclusion or exclusion referred to above. In addition to the disclosures required under the Statements of Financial Accounting Standards (SFAS)/International Accounting Standards (IAS) and except as otherwise permitted by the Commission, the various line items and certain additional disclosures set forth in “Annex 68.1-K” if applicable, should appear on the face of the balance sheets or related notes filed by the persons to whom this Rule pertains. In addition to the disclosures required under the SFAS/IAS and except as otherwise permitted by the Commission, the various line items and certain additional disclosures set forth in “Annex 68.1-L” if applicable, should appear on the face of the income statements or related notes filed by the persons to whom this Rule pertains. In addition to the disclosures required under the SFAS/IAS and except as otherwise permitted by the Commission, the various line items and certain additional disclosures set forth in “Annex 68.1-M” if applicable, should appear on the face of the cash flow statements or related notes filed by the persons to whom this Rule pertains. In addition to the disclosures required under the SFAS/IAS and except as otherwise permitted by the Commission, the various line items and certain additional disclosures set forth in “Annex 68.1-J” if applicable, should appear on the face of the financial statements or related notes filed by the persons to whom this Rule pertains. Please see “Annex 68.1-M” for disclosure requirements. a. Summarized income statement information (See definition of "Summarized Financial Information, Paragraph 1(b)(xii) under Rule 68) shall be given separately as to each subsidiary not consolidated or 50 percent owned person or as to each group of such subsidiaries or 50 percent or less owned persons for which separate individual or group statements would otherwise be required for annual periods. b. If appropriate, the income statement shall show earnings per share and dividends declared per share applicable to common stock. The basis of the earnings per share computation shall be stated together with the number of shares used in the computation. c. If, during the most recent interim period presented, the registrant or any of its consolidated subsidiaries entered into a business combination treated for accounting purposes as a pooling of interests, the interim financial statements for both the current year and the preceding year shall reflect the combined results of the pooled businesses. Supplemental disclosure of the separate results of the combined entities for the periods prior to the combination shall be given, with appropriate explanations. i. Where a material business combination accounted for as a purchase has occurred during the current fiscal year, pro forma disclosure shall be made of the results of operations for the current year up to the date of the most recent interim balance sheet provided (and for the corresponding period in the preceding year) as though the companies had combined at the beginning of the period being reported on. This pro forma information should as a minimum show revenues, income before extraordinary items and the cumulative effect of accounting changes, including such income on a per share basis, and net income per share. ii. 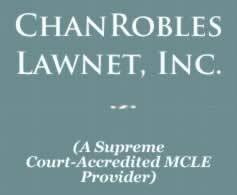 Where the registrant has disposed of any significant segment of its business, revenues and net income--total and per share--for all periods shall be disclosed. iii. In addition to meeting the reporting requirements specified by existing standards for accounting changes, the registrant shall state the date of any material accounting change and the reasons for making it. In addition, for filings on Form 17-Q, a letter from the independent accountant shall be filed as an exhibit in the first Form 17-Q filed subsequent to the date of an accounting change indicating whether or not the change is to an alternative principle which in his judgment is preferable under the circumstances; except that no letter from the accountant need be filed when the change is made in response to a standard adopted by the Philippine ASC which requires such change. v. Any unaudited interim financial statements furnished shall reflect all adjustments which are, in the opinion of management, necessary to a fair statement of the results for the interim periods presented. A statement to that effect shall be included. Such adjustments shall include, for example, appropriate estimated provisions for bonus and profit sharing arrangements normally determined or settled at year-end. If all such adjustments are of a normal recurring nature, a statement to that effect shall be made; otherwise, there shall be furnished information describing in appropriate detail the nature and amount of any adjustments other than normal recurring adjustments entering into the determination of the results shown. ii. Interim statements of income shall be provided for the current interim period and cumulatively for the current financial year to date, with comparative income statements for the comparable interim periods (current and year -to-date) of the immediately preceding financial year. iv. Interim statements of cash flows shall be provided for the current financial year to date, with a comparative statement for the comparable year-to-date period of the immediately preceding financial year. v. For registrants whose business is highly seasonal, financial information for the twelve months ending on the interim reporting date and comparative information for the prior twelve-month period may be useful. They may provide interim statements of income and of cash flows for the twelve month period ended during the most recent quarterly period and for the corresponding preceding period in lieu of the year-to-date statements specified in (ii) and (iii) above. e. Filing of other interim financial information in certain cases - The Commission may, upon the informal written request of the registrant, and where consistent with the protection of investors, permit the omission of any of the interim financial information herein required or the filing in substitution therefor of appropriate information of comparable character. The Commission may also by informal written notice require the filing of other information in addition to, or in substitution for, the interim information herein required in any case where such information is necessary or appropriate for an adequate presentation of the financial condition of any person for which interim financial information is required, or whose financial information is otherwise necessary for the protection of investors. v. This Rule does not apply to transactions between a parent company and its wholly -owned subsidiary. i. Objective - Pro forma financial information should provide investors with information about the continuing impact of a particular transaction by showing how it might have affected historical financial statements if the transaction had been consummated at an earlier time. Such statements should assist investors in analyzing the future prospects of the registrant because they illustrate the possible scope of the change in the registrant's historical financial position and results of operations caused by the transaction. B. The pro forma financial information shall be accompanied by an introductory paragraph which briefly sets forth a description of (I) the transaction, (II) the entities involved, and (III) the periods for which the pro forma information is presented. In addition, an explanation of what the pro forma presentation shows shall be set forth. 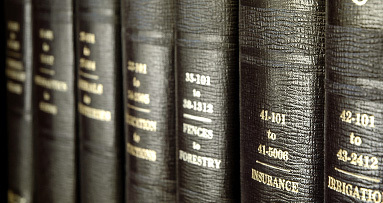 C. The pro forma condensed financial information need only include major captions (i.e., the numbered captions) prescribed by the applicable paragraphs of this Regulation. Where any major balance sheet caption is less than 10 percent of total assets, the caption may be combined with others. When any major income statement caption is less than 15 percent of average net income of the registrant for the most recent three fiscal years, the caption may be combined with others. In calculating average net income, a loss year should be excluded unless losses were incurred in each of the most recent three years, in which case the average loss shall be used for purposes of this test. Notwithstanding these tests, "minimal" amounts need not be shown separately. F. Pro forma adjustments related to the pro forma condensed income statement shall be computed assuming the transaction was consummated at the beginning of the fiscal year presented and shall include adjustments which give effect to events that are (I) directly attributable to the transaction, (II) expected to have a continuing impact on the registrant, and (III) factually supportable. Pro forma adjustments to the pro forma condensed balance sheet shall be computed assuming the transaction was consummated at the end of the most recent period for which a balance sheet is required by Paragraph 4 of this Rule and shall include adjustments which give effect to events that are directly attributable to the transaction and factually supportable regardless of whether they have a continuing impact or are non-recurring. All adjustments should be referenced to notes which clearly explain the assumptions involved. H. If the transaction is structured in such a manner that significantly different results may occur, additional pro forma presentations shall be made which give effect to the range of possible results. For a purchase transaction, pro forma adjustments for the income statement shall include amortization of goodwill, depreciation and other adjustments based on the allocated purchase price of net assets acquired. In some transactions, such as in financial institution acquisitions, the purchase adjustments may include significant discounts of the historical cost of the acquired assets to their fair value at the acquisition date. When such adjustments will result in a significant effect on earnings (losses) in periods immediately subsequent to the acquisition which will be progressively eliminated over a relatively short period, the effect of the purchase adjustments on reported results of operations for each of the next five years should be disclosed in a note. For a disposition transaction, the pro forma financial information shall begin with the historical financial statements of the existing entity and show the deletion of the business to be divested along with the pro forma adjustments necessary to arrive at the remainder of the existing entity. For example, pro forma adjustments would include adjustments of interest expense arising from revised debt structures and expenses which will be or have been incurred on behalf of the business to be divested such as advertising costs, executive salaries and other costs. When consummation of more than one transaction has occurred or is probable during a fiscal year, the pro forma financial information may be presented on a combined basis; however, in some circumstances (e.g. depending upon the combination of probable and consummated transactions, and the nature of the filing) it may be more useful to present the pro forma financial information on a disaggregated basis even though some or all of the transactions would not meet the tests of significance individually. For combination presentations, a note should explain the various transactions and disclose the maximum variances in the pro forma financial information which would occur for any of the possible combinations. If the pro forma financial information is presented in a proxy or information statement for purposes of obtaining shareholder approval of one of the transactions, the effects of that transaction must be clearly set forth. A. A pro forma condensed balance sheet as of the end of the most recent period for which a consolidated balance sheet of the registrant is required shall be filed unless the transaction is already reflected in such balance sheet. B. Pro forma condensed statements of income shall be filed for only the most recent fiscal year and for the period from the most recent fiscal year end to the most recent interim date for which a balance sheet is required. A pro forma condensed statement of income may be filed for the corresponding interim period of the preceding fiscal year. A pro forma condensed statement of income shall not be filed when the historical income statement reflects the transaction for the entire period. C. For a business combination accounted for as a pooling of interests, the pro forma income statements (which are in effect a restatement of the historical income statements as if the combination had been consummated) shall be filed for all periods for which historical income statements of the registrant are required. i. Summarized financial information (see definitions in paragraph 1(b)(xii) of Rule 68) shall be furnished in the notes to the financial statements for each significant subsidiary not consolidated and for each 50 percent or less owned person. Notwithstanding the requirement for separate summarized financial information for each significant subsidiary, where summarized financial information of two or more majority-owned subsidiaries not consolidated are required, combined or consolidated summarized financial information of such subsidiaries may be filed subject to principles of inclusion and exclusion which clearly exhibit the financial position, cash flows and results of operations of the combined or consolidated group. In addition to the requirements under the applicable SFAS/IAS, corporations covered by Rule 68.1 shall comply with the disclosure requirements of this Annex. 3. the nature and amount of intangible assets (e.g. pre-operating expenses) as of December 31, 2002 expected to be written of as a result of applying SFAS/IAS 38. A registrant shall disclose, either on the face of the balance sheet or in the notes to the financial statements, further sub-classifications of the line items presented in accordance with this Annex and in a manner appropriate to the registrant’s operations and the nature and function of amount involved. If significant in amount, other receivables should be segregated by type, otherwise, they may be grouped in one figure captioned as Accounts Receivables-Others, or other equivalent title. (ii) reversal of allowances for doubtful accounts. (A) Declines subsequent to balance sheet date in market prices of inventory not protected by firm sales contracts. (D) The amount of any substantial and unusual write downs. (3) Other Current Assets - State separately any amounts in excess of five per cent (5%) of total current assets. The remaining items may be shown in one amount. State separately by class of investments any items in excess of five per cent (5%) of total assets. (5) Indebtedness of or Advances to Unconsolidated Subsidiaries and Related parties - Show separately under this caption non-current advances to unconsolidated subsidiaries and related parties. 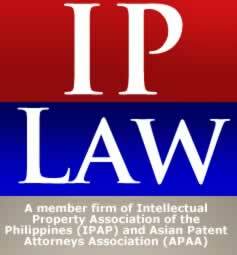 State separately, if material in amount, each major class of intangible assets, such as goodwill, franchises, patents, copyrights, licenses, secret processes, subscription lists, non-competition agreements, and trademarks. They may be shown under a separate caption following property plant and equipment in the non-current section of the balance sheet or under Other Assets. Disclose also the basis of determining their respective amounts. State separately any item which is in excess of 5% of total assets. (iii) Advances from Directors, officers, employees and principal stockholders and related parties of the company or its related parties (exclude from this item amounts for purchases subject to usual trade terms, for ordinary travel expenses, and for other items arising in the ordinary course of business). (iv) Accruals (Show separately significant accruals for payrolls, taxes other than income taxes, interest, and any other material items.). (ii) Assets pledged against secured liabilities. (A) Dividends declared and not paid at balance sheet date. 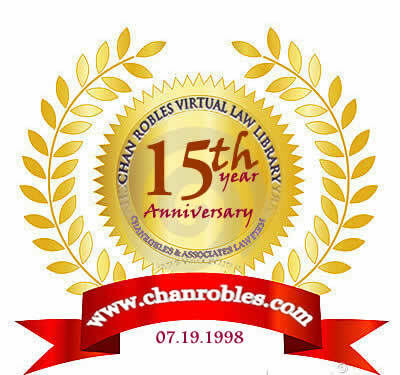 (10) Other Long-Term Liabilities - State separately, in the balance sheet or in a note thereto, any item not properly classified in one of the preceding liability captions (Such as deferred income taxes and other long-term deferred credits) which is in excess of 5 percent of total liabilities. In addition to the requirements under the applicable SFAS/IAS, corporation covered by Rule 68.1 shall comply with the disclosure requirements of this Annex. B. Equity in earnings (losses) of unconsolidated subsidiaries and investees - The investors' share of earnings or losses of unconsolidated subsidiaries and investees should ordinarily be shown as a single amount. D. Gain (loss) on Securities - If gain or loss on disposal of securities are shown separately, state gains, net of losses or vice versa and disclose the method followed in determining the cost of securities sold, e.g., "Average Cost", "First-In" First-Out" or "Specific Identification Method." F. Miscellaneous - State separately any material amounts of miscellaneous other income indicating clearly the nature of the transactions out of which the items arose. Miscellaneous other income may be stated net of miscellaneous income deductions or vice versa, provided that any material amounts are set forth separately. State separately expenditures with material amount or that which constitutes 10% or more of the revenue of the registrant. This Annex prescribes the disclosure requirements including the form and content of the schedules required by paragraph 7(e) of Rule 68.1. 1. Except as expressly provided otherwise, the schedules specified below shall be filed as of the latest balance sheet date. 2. The independent auditor's report shall cover the schedules accompanying the financial statements filed. 3. In a registration statement filed on SEC Form 12-1, the Schedules need not be included in Part I - Information Required in Prospectus, but may be included in Part II - Information Not Required in Prospectus. 1. In support of the caption Current Marketable Equity Securities in the balance sheet, if the greater of the aggregate cost or the aggregate market value of current marketable equity securities as of the balance sheet date constitute 10 per cent or more of total assets. 3. In support of the caption Current Marketable Equity Securities and Other Short Term Cash Investments in the balance sheet, if the greater of the aggregate cost or the aggregate market value of current marketable equity securities plus the amount at which other short term cash investments is shown in the balance sheet as of the balance sheet date. Schedule B. Amounts Receivable from Directors, Officers, Employees, Related Parties, and Principal Stockholders (Other than Related parties). This schedule shall be filed with respect to each person among the directors, officers, employees, and principal stockholders (other than related parties) from whom an aggregate indebtedness of more than P100,000 or one per cent of total assets, whichever is less, is owed. For the purposes of this schedule, exclude in the determination of the amount of indebtedness all amounts receivable from such persons for purchases subject to usual terms, for ordinary travel and expense advances and for other such items arising in the ordinary course of business. 2. There have been no material changes in the information required to be filed from that last previously reported. Schedule F. Long-Term Debt - This schedule shall be filed in support of the caption Long-Term Debt in the balance sheet. 2. There have been no changes in the information required to be filed from that last previously reported. Schedule H. Guarantees of Securities of Other Issuers. - This schedule shall be filed with respect to any guarantees of securities of other issuing entities by the issuer for which the statement is filed. Schedule I. Capital Stock - This schedule shall be filed in support of caption Capital Stock in the balance sheet. 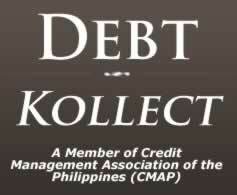 1) Each issue shall be stated separately, except that reasonable grouping, without enumeration may be made of (a) securities issued or guaranteed by the Philippine Government or its agencies and (b) securities issued by others for which the amounts in the aggregate are not more than two percent of total assets. (2) State the basis of determining the amounts shown in the column. This column shall be totaled to correspond to the respective balance sheet caption or captions. (3) This column may be omitted if all amounts that would be shown are the same as those in the immediately preceding column. Schedule B. Amounts Receivable from Directors, Officers, Employees, Related Parties and Principal Stockholders (Other than Related parties). 1) Show separately accounts receivables and notes receivable. In case of notes receivable, indicate pertinent information such as the due date, interest rate, terms of repayment and collateral, if any. 2) If collection was other than in cash, explain. 3) Give reasons for write off. 1) Group separately securities of (a) unconsolidated subsidiaries and (b) other related parties and (c) other companies, the investment in which is accounted for by the equity method. State separately investments in individual related parties which, when considered with related advances, exceed two per cent of total assets. 2) Disclose the percentage of ownership interest represented by the shares if material. 3) The total of this column shall correspond to the amount of the related income statement caption. 4) Briefly describe each item. Explain if the cost represents other than a cash expenditure. 5) As to any dividends other than in cash, state the basis on which they have been taken up in the accounts, and the justification for such treatment. If any such dividends received from related parties have been credited in an amount different from that charged to retained earnings by the disbursing company, state the amount of differences and explain. c) Disposition of resulting profit or loss. 7) The totals in this column shall correspond to the related balance sheet captions. 1) The related parties named shall be grouped as in Schedule C. The information called for shall be shown separately for each affiliate whose investment was shown separately in such related schedule. 2) For each affiliate named in the first column, explain in a note hereto the nature and purpose of any material increase. 1) The information required shall be grouped into (a) intangibles shown under the caption intangible assets and (b) deferrals shown under the caption Other Assets in the related balance sheet. Show by major classifications as indicated in Parts IV-(b)(16). 2) For each change representing anything other than an acquisition, clearly state the nature of the change and the other accounts affected. Describe cost of additions representing other than cash expenditures. 3) If provision for amortization of intangible assets is credited in the books directly to the intangible asset account, the amounts shall be stated with explanations, including the accounts charged. Clearly state the nature of deductions if these represent anything other than regular amortization. 1) Include in this column each type of obligation authorized. 2) This column is to be totaled to correspond to the related balance sheet caption. 3) Include in this column details as to interest rates, amounts or number of periodic installments, and maturity dates. 1) The related parties named shall be grouped as in Schedule D. The information called for shall be stated separately for any persons whose investments were shown separately in such related schedule. 2) For each affiliate named in the first column, explain in a note hereto the nature and purpose of any material increase during the period that is in excess of 10 percent of the related balance at either the beginning or end of the period. 1) Indicate in a note any significant changes since the date of the last balance sheet filed. If this schedule is filed in support of consolidated financial statements, there shall be set forth guarantees by any person included in the consolidation except such guarantees of securities which are included in the consolidated balance sheet. 2) There need be made only a brief statement of the nature of the guarantee, such as "Guarantee of principal and interest", "Guarantee of Interest", or "Guarantee of dividends". If the guarantee is of interest, dividends, or both, state the annual aggregate amount of interest or dividends so guaranteed. 1) Indicate in a note any significant changes since the date of the last balance sheet filed. 2) Include in this column each type of issue authorized. 3) Related parties referred to include persons for which separate financial statements are filed and those included in consolidated financial statements, other than the issuer of the particular security.